"The support has been very, very, very emotional. It’s overwhelming that the support is still there all these years later. It’s very inspiring." - Maynard James Keenan. EXCLUSIVE: Maynard James Keenan has earned a reputation as one of alternative music’s most respected musicians. Founder of Puscifer, front man of Tool, and when he’s not on the road, wine maker and owner of Caduceus Cellars, he’s currently focusing on A Perfect Circle, the band he formed with guitarist Billy Howerdel back in 1999. 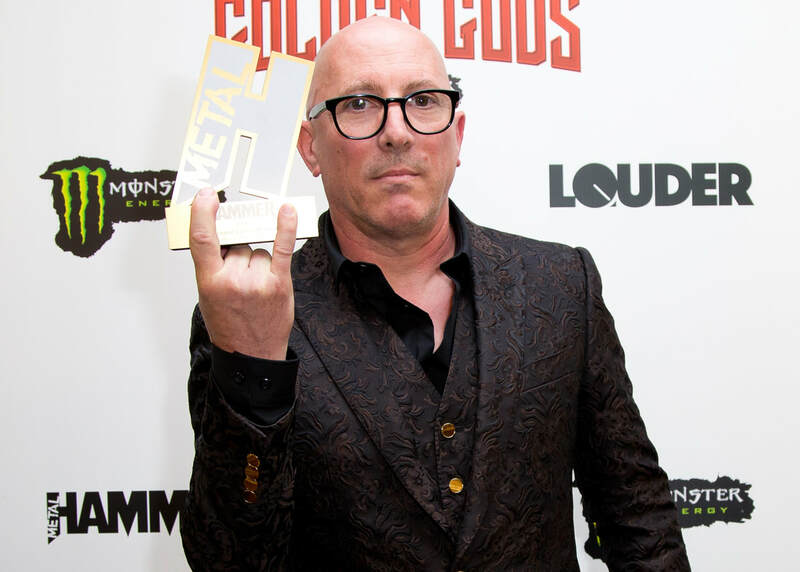 In London ahead of a brace of UK dates, and on hand to collect the ‘Icon’ award at the Metal Hammer Golden Gods, we caught up with Maynard for a brief chat. Mer de Noms; Eamon O’Neill and Neil Jones. 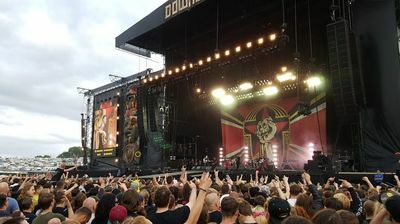 ​Hi Maynard, you’re here in London tonight; what have you been up to whilst in the city? I’ve eaten my body weight in curry already. The new A Perfect Circle album contains the song “So Long, and Thanks for All the Fish”; who is the Douglas Adams fan in the band? Oh, me, absolutely. Watching the demise of our glorious country has just kind of brought all these memories back of waiting for the explosion. Keep your towel handy. You’re here in London for a pair of shows in Brixton; what’s happening after this run? Well, harvest, right away. I’ve got to go back and pick the grapes, and I’ll be in the cellar for the next three months. Then we go right back out with A Perfect Circle in the States, and then we’re back here in December. Which occupies more of your time; wine, or music? They kind of flip flop, go back and forth. I mean, harvest of course is three solid months of work. It’s kind of a break from the road, and then the road is the break from the cellar. Does it amaze you that A Perfect Circle have been around for almost twenty years now? Yeah, it’s been quite inspiring. We’ve been to a lot of places; Europe, Scandinavia, the U.K., and the support has been very, very, very emotional. [It’s] overwhelming that the support is still there all these years later. It’s very inspiring. The band started off as a side project with Billy Howerdel; did you think it would have the legs to last this long? You know, when he and I put our heads together to get something done, I feel like there’s going to be some longevity to it, just because we’re friends. So, when friends get together, that friendship is pretty unbreakable. Do you think there’ll be more APC albums in the future then? Why was the timing right to bring out ‘Eat The Elephant’ now, fourteen years after ‘Emotive’? Well, I had to spend a lot of that time establishing the wine industry in Arizona, and also Puscifering, and also the absence of an actual music industry after 2007, pretty much. Puscifer took a lot of work to kind of get on the map, and I felt like [once] I kind of got it to the spot where it kind of was resting on its own laurels now, that I could get back to work on the other stuff. Are there any other musical itches that you’ve got left to scratch? I want to do a country album. [long pause] Not really! Finally, I wanted to go back to your appearance on the first Rage Against The Machine’ album; how did that come about? The first people I met when I came to L.A. were Tom [Morello] and Brad [Wilk]. They grew up, they went to high school together, so that was my connection to L.A. right away. Like this article? Like us on FaceBook and follow us on Twitter for regular updates & more of the same. A Perfect Circle are currently on the road promoting 'Eat The Elephant'. For a full list of dates, visit the band's official site. 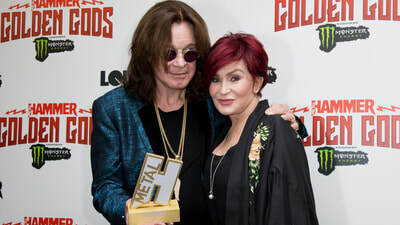 Ozzy, Maynard James Keenan & More Crowned 'Golden Gods 2018' In London. 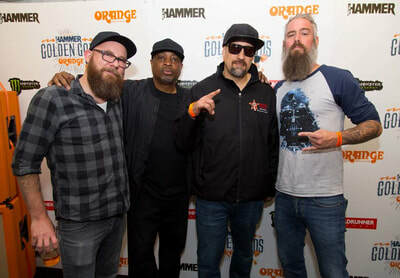 INTERVIEW: Prophets Of Rage Unfuck The World.